The Cavaleri Quartet was formed in 2008 by Anna Harpham (violin), Ciaran McCabe (violin), Ann Beilby (viola) and Rowena Calvert (cello). 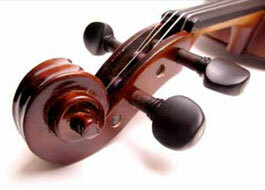 They have gained a reputation as one of the leading European string quartets. They were first prize winners and recipients of the Brahms and Mendelssohn Prizes in the 2012 Hamburg International Chamber Music Competition and 'Special Prize' winners in the 2011 Premio Paolo Borciani International String Quartet Competition. While Anna Harpham is on maternity leave her place has been taken by Martyn Jackson, who made his recital debut at the Southbank Centre's Purcell Room last autumn, and has frequently served as Assistant Concertmaster of the LSO and the Philharmonia. Having achieved rave reviews from his American and Edinburgh Festival debuts, Frith established himself as an international concert artist. 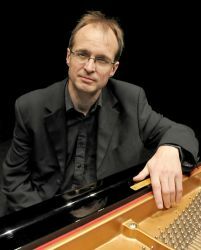 He has appeared with many of the world’s finest orchestras including the Berlin Symphony, Israel Philharmonic, City of Birmingham Symphony, Polish National Radio, and the BBC Philharmonic. He has worked with many leading conductors such as Zubin Mehta, Antoni Wit, Vasary, Skrowaczewski, Bamert, Atzman and Barry Wordsworth. A seasonal tale told by The Musicke Companye: the age-old story of Christmas interwoven with tales of sumptuous feasts, bitter frosts and even some dancing at a magnificent New Year's Ball. Poetry, diaries and words by Samuel Pepys, John Evelyn, William Austin and Helen Rogers. Music by Monteverdi (Exulta Fillia Sion), Grandi (Hodie nobis de caelo), Scarlatti (Salve Regina), Purcell (Let us Dance), Arne (Blow, blow thou winter wind) and Mozart (Ah, vous dirai-je mamon?) alongside traditional carols. A fabulous evening of drama and revelry. Shiry Rashkovsky is a versatile musician; her performances have taken her across the globe. She gave her Royal Festival Hall debut in October 2012, and is a member of the Countess of Munster Musical Trust Recital Scheme. 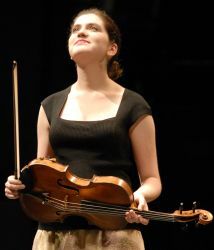 She was the 2012 Philharmonia Orchestra Meyer Award holder, performing under the batons of Esa-Pekka Salonen, Lorin Maazel, and Christoph von Dohnanyi among others. Robin Green enjoys an active career as a chamber musician, piano accompanist, and conductor. With Antoine Françoise, he performs as the Françoise-Green piano duo. The Navarra Quartet was formed in 2002 at the Royal Northern College of Music. They are now Quartet in Association at the RNCM. 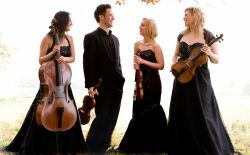 In 2005 the Quartet won 1st prize at the Florence International Competition, and in 2007 they won 2nd Prize at the Melbourne International Competition. Since then they returned to Australia to give recitals in Melbourne, Sydney and the Huntingdon Estate Music Festival, and have appeared at Wigmore Hall, Bath Festival and Aldeburgh. Future engagements include return visits to Wigmore Hall and the Concertgebouw in Amsterdam. 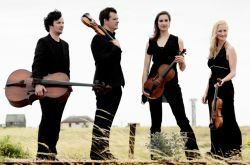 The members of the quartet are Magnus Johnston (violin), Marije Ploemacher (violin), Simone van der Giessen (viola) and Brian O’Kane (cello).